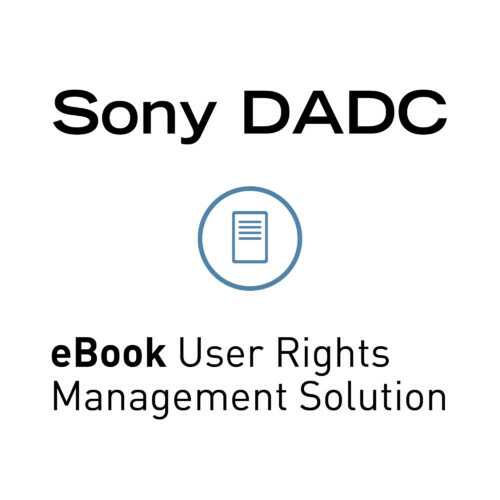 Sony DADC today announced a strategic collaboration with Datalogics, Inc. to bring Sony DADC’s eBook DRM solution to customers looking for an innovative eBook distribution option. Sony DADC has been a market leader in Digital Rights Management (DRM) solutions for a broad array of entertainment products, including music, movies and video games. Its User Rights Management System (URMS) is a strong yet flexible system for eBooks, publishing, and other written digital content system based on the open-standard Marlin content protection system. Recognized as a leader in the eBook product and services industry, Datalogics has extensive eBook business experience and expertise. As the market has continued to evolve, Datalogics saw the need for other DRM offerings. Now to better serve the eBook customer, they have added the Sony DADC DRM to their collection of eBook products and services. Sony DADC’s URMS offers libraries and stores a powerful yet lightweight API-based system for protecting content and authenticating users. The system is designed to better serve today’s eBook business models and eliminates the need for users to host cumbersome and expensive license servers. It also simplifies the user experience as it does not require third-party ID’s for content downloads. Libraries and stores can revoke and renew licenses without requiring the user to re-download the book and URMS provides publishers a much stronger DRM that can be updated as needed. It also provides an API for encryption so publishers no longer need to send unencrypted files out to distributors. To maximize convenience for app developers, URMS is fully compatible with the Readium Foundation’s open-source rendering engine. The URMS technology is created by Denuvo Software Solutions, the team that developed best-of-breed copy protection systems like Denuvo Anti Tamper for games and Screen Pass for movies. Chicago-based Datalogics, Incorporated, the premier source for PDF and eBook technologies, has dedicated over 45 years to delivering the highest quality software. Datalogics offers solutions that include a wide range of powerful PDF and eBook technologies for .NET, Java, and C/C++ developers. Datalogics is a member of the International Digital Publishing Forum (IDPF) and the Readium Foundation, and is on the board of the PDF Association.